We take it that, if you are considering buying a bamboo product, you care enough not only about your money, but also about the planet. Bamboo is a grass that grows really fast and it takes only around 3 years until you can use a new plant (it would take decades to use a maple tree, for example). So, bamboo is an Earth friendly choice, is renewable and needs no chemicals to thrive or to be harvested. Why buy a bamboo cutting board? Because it looks good. 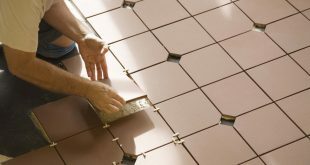 Because it’s dense enough to retain water, resists knife cuts and it simply doesn’t warp or crack in time. 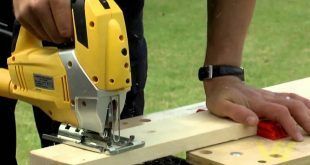 Yeah, you could easily buy a wood cutting board. After all, neither of them can be washed in the dishwasher, but the bamboo one would not need the same constant care as the wooden one. So no, no regular mineral oil treatment for the bamboo cutting board is required, unless of course you want to do it. How do you clean a bamboo cutting board, then? You can use just hot water and soap or simply use a dilution of bleach water. Rinse it well afterwards, of course. Easy peasy. Well, get ready for this: there aren’t any! Or at least, if you read carefully, there shouldn’t be any. 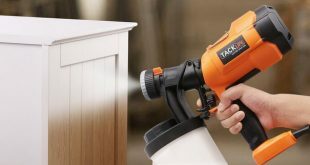 Just pay attention to your purchase; some manufacturers use formaldehyde glues, so be sure to buy the cutting board made with non-toxic or organic treatment methods. With this, you should be covered. Of course the market is full of options: we’re all in the same boat on this. But, how to avoid buying a lemon? It’s not like you just have to cross your fingers and hope for the best. Well, this is where our part kicks in. We read, tried, asked around, argued and decided that these would be the best options for you, the top 5 when it comes to bamboo cutting boards. The ball is in your court now. 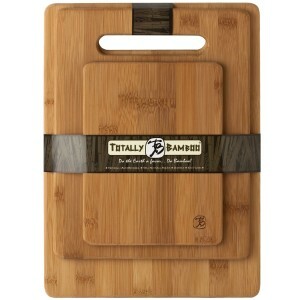 When you care enough about our Planet, for sure you will consider purchasing this set of3 bamboo cutting boards. The 3 sizes cutting boards are a great option, since they will allow you chop various types of food, thus keeping away the cross-contamination risks. 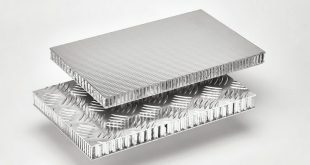 Durable, long lasting and safe for cooking these cutting boards will not crack and will take care good care of your knives also, no matter how sharp they are. Like any other bamboo cutting boards, it is strongly recommended not to put them in the dishwasher and only hand wash them with warm water. In order to maintain their natural beauty, you can regularly use a mineral oil to give them back the sparkle. Only 3/8 inch thick, these 3 cutting boards are easy to handle with and it will fit just fine on your counter. Crazy about your homeland? Loyal to your state and feel like honoring it all the time? 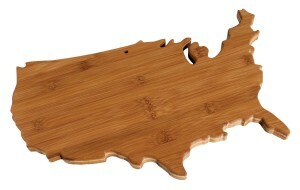 This USA (or any other US state that you are fond of) shaped bamboo cutting board is new and perfect as a gift. Used for indoor and outdoor entertaining, you can either chop on them, or use them simply as a board, cheese tray and dish serving platter. You don’t have to worry about hot to store them; their rustic tie-string hanging loop will allow you hang it on the wall really easy. Avoid entirely the dishwasher when cleaning them; hand wash them with warm water and a mild detergent. So, if you love enough your country, not only your Mother Earth, do not waste any more time and buy this fun bamboo cutting board. 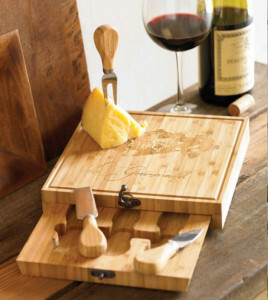 When you want to go for an elegant bamboo cutting board, this is the right product for you! 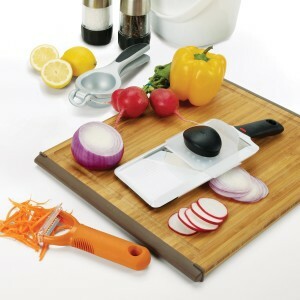 With its tapered handles for easy lifting and carrying around, this board also has non-slip edges that will prevent its sliding when chopping. Your everyday cooking needs this perfectly sized cutting board and, when carving a large roast, it will be sturdy and ease up your cooking also. This board has 2 usable sides: a grooved one, perfect for meats and a solid side that is for your veggies. Like this, you won’t have to worry about the cross contamination either. Please notice that the board has a large juice groove on one side that is meant to retain liquids. As always, never ever put it in the dishwasher! It will ruin your bamboo board! Only use hand washing: some warm water, some soap and it’s good to go again! There is no stress if you haven’t been able to decide yet which is the best bamboo cutting board for you. 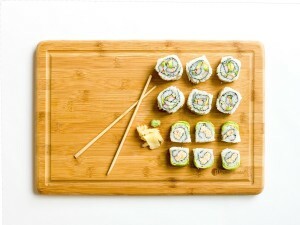 You can always go with this set of 3 bamboo boards. Sized differently, these 3 boards will not only make your cooking easier, but they will take care of your health also, eliminating the cross-contamination risks (since you’ll be using different cutting boards for different kind of foods). These 3 boards are thick enough to handle the knives cuts and long lasting at the same time. There will be no warping, cracking, nor sliding on surfaces with these 3 bamboo boards. If you lack some inspiration on cooking, smile since this set comes with a free healthy Eating Cooking eBook! Stop sitting on a fence; they can be used as serving trays (for crackers, cheese) so you can start giving the invitations for your next party! For all of you out there who want an extra large bamboo cutting board, stop waiting and buy …even two of them! 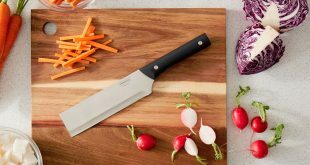 Durable, sturdy, made from 100% antimicrobial bamboo, this large sized cutting board will not dull your knives and won’t crack in time. That is, if you take minimum care of it: no dishwasher ever and only hand washing with hot water and soap. Simply dry it out afterwards. The drip groove included will collect the juices from the fruits, vegetables and meats. Note to self: you can go extra big with your turkey this year! 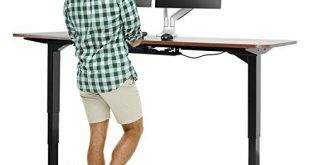 Even though it’s big, this board is very light! FSC and FDA approved, this board will take good care of your pocket. And, if you’re not sure, you’ll get 100% money back, no question asked!